Highly anticipated: Valve's annual Steam Summer Sale is an excellent opportunity to stock up on titles at bargain-basement prices. Valve’s annual Steam Summer Sale just went live and as anticipated, you’ll find discounts on a slew of games through Valve’s digital distribution platform. Deals highlighted on the front page include 80 percent off Crypt of the NecroDancer which brings the price down from $14.99 to just $2.99, half off Rocket League (now yours for only $9.99), Darkest Dungeon for $7.49 (a savings of 70 percent) and Rust for only $8.74 (originally $34.99). Elsewhere, you can pick up The Brookhaven Experiment for only $4.99 (75 percent off the original $19.99 asking price) and score discounts of up to 85 percent on select Sonic games. Some games in the Fallout franchise can be had with discounts of up to 75 percent. As revealed a few days ago, PlayerUnknown’s Battlegrounds is also on sale for the first time ever. You can grab it at a 33 percent discount which brings it down to $19.99. 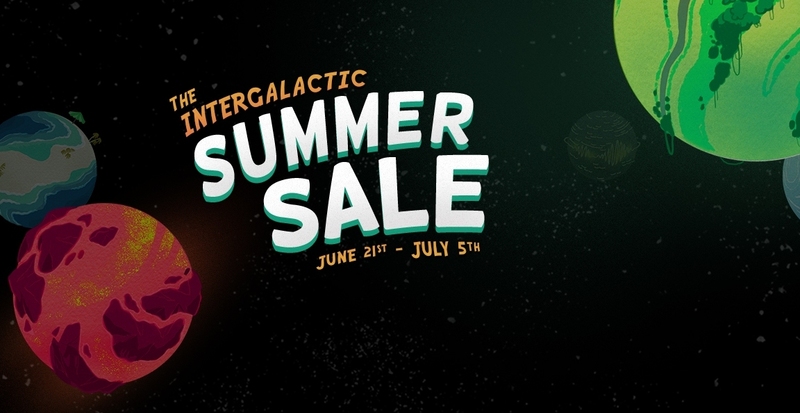 The Intergalactic Summer Sale, as Valve is calling this year’s bargain bonanza, runs through July 5. Servers may be a bit sluggish early on as everyone floods the store to check out all the fresh deals but that’ll likely work itself out within just a few hours.